Thinking of getting a North Sydney office fit-out for your office space in the North Sydney area? Have you finalized a neat commercial office design for which you require office fit outs North Sydney? Then, for any type of office fit out services, you should reach out to the experts at Sequence Communications and Electrical. 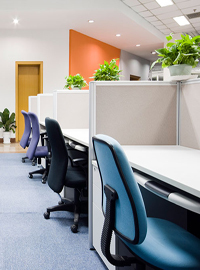 To begin with, are you really aware of the many advantages of going for planned, designed office fit outs North Sydney? At times, you can also go in for office partitions North Sydney which helps optimize space to its fullest.